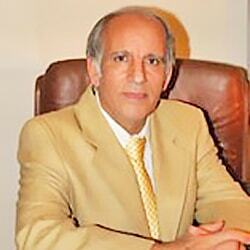 Dr Rajab Shirvani was born in Azerbaijan, Iran in 1956. After completing his high school, he took part in the national university exam, known as Konkur, and ranked 56th among thousands of candidates, which helped him to be qualified to study medicine at one of the best public medical universities of Iran. After finishing the general medicine program, he pursued a residency program at Shahid Beheshti University of Medical Sciences. With over 25 years of experience in nose surgery, Dr Shirvani performed over 7000 rhinoplasties, as well as thousands of other maxillofacial surgeries. Leading an expert team of professionals, Dr Shirvani performs one to two nose surgeries per day, under close monitoring of the hospital in which he does the operations. The average time of his nose surgeries is 4 hours, which indicates he is very meticulous in his work and is committed to the perfection of the results. He also says he has a firm belief in the patients’ health particularly the health of the function of their noses to make sure that the normal breathing won’t be affected by the surgery. Besides nose surgery, Dr Shirvani has a flair for painting. He was a student of Jafar Petgar, a great Iranian painter who was the greatest student of Kamal-ol-molk.